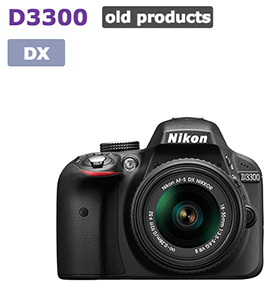 The Japanese website DC.Watch reports that the Nikon D3300 DSLR camera ($389.95) is now officially discontinued (listed as "old product" in Japan). I already reported that the Nikon D3300 camera will be replaced in 2016 and will most likely be the next camera announced by Nikon this summer. Expect the new model to have a 24MP sensor and SnapBridge compatibility. This entry was posted in Nikon D3300, Nikon D3400 and tagged Nikon SnapBridge, Photokina 2016, to be discontinued.... Bookmark the permalink. Trackbacks are closed, but you can post a comment.